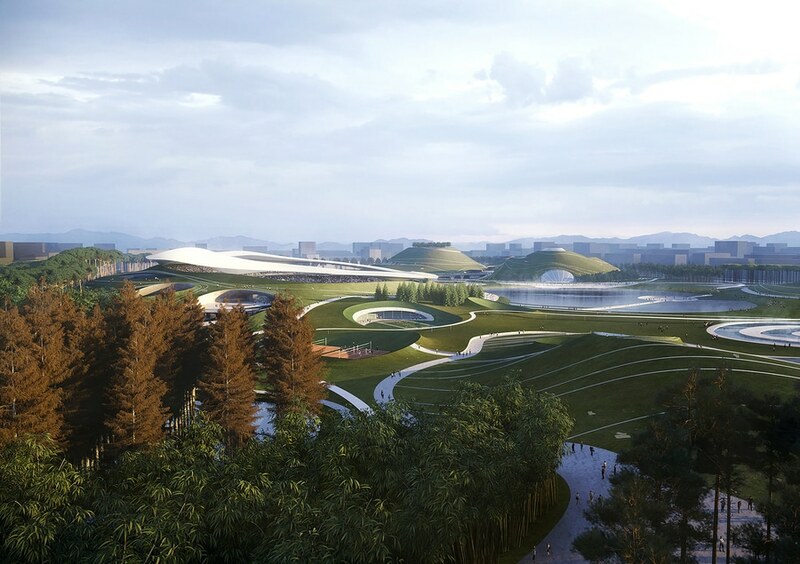 A science and technology museum, a hotel and shops will also be built on the campus.Beijing-based architects MAD said they wanted the park to look like an "extraterrestrial fantasy", a cross between Earth and Mars. 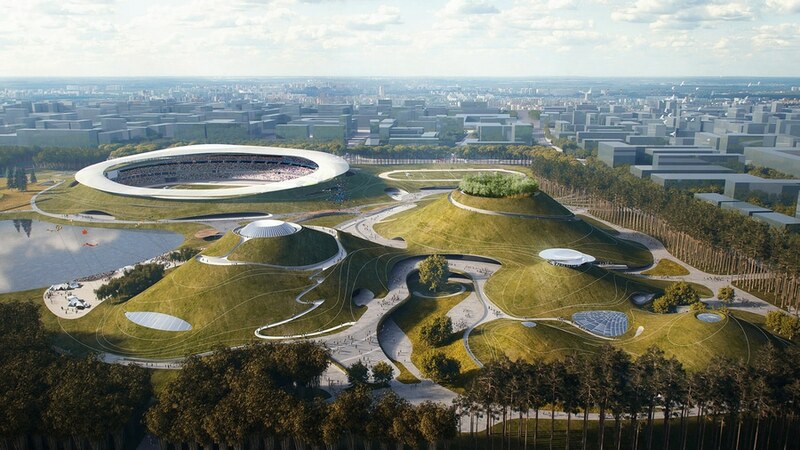 Buildings will be set into the peaks of an undulating green landscape, so that viewed from above the sunken sports venues will look like craters in a series of volcanoes. 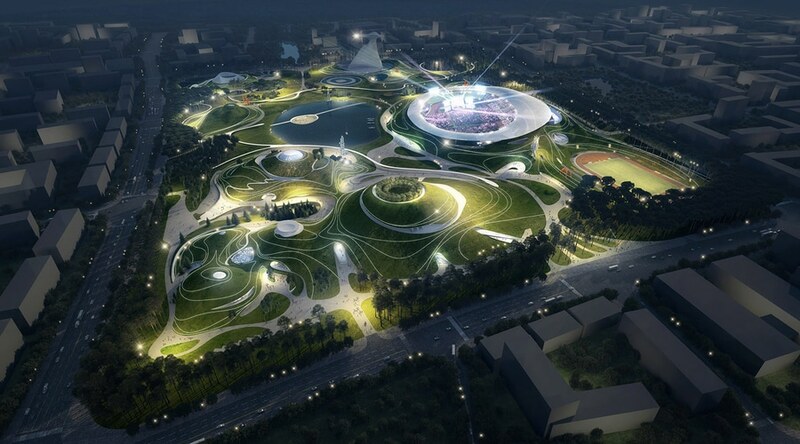 A large lake on one side of the campus will complete the terraformed effect. 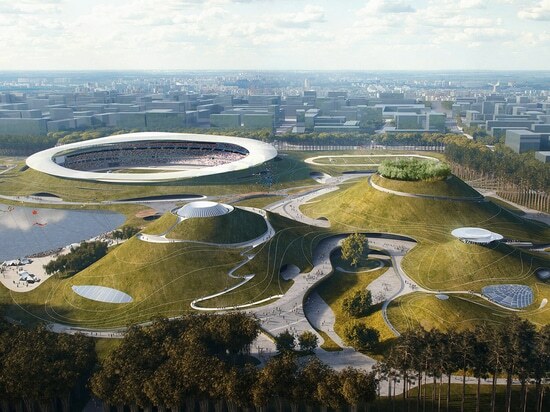 "We dream not only of creating an urban space about sports and ecology, but also turning it into a unique land art park for the world, establishing a relationship between the city’s heritage and history of Shanshui culture," said Ma Yansong, founder of MAD. 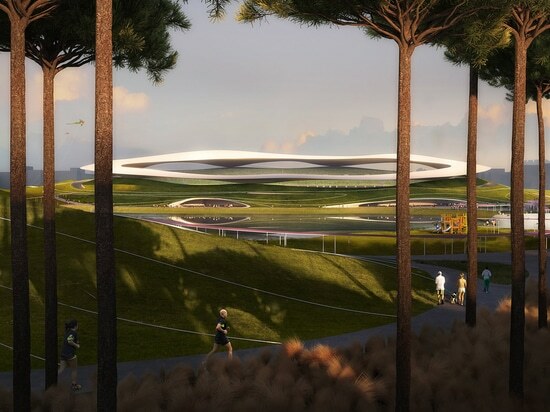 A halo-like ringed canopy above the main stadium is designed so it will look like clouds floating above a dormant volcano, reflected in the lake below.On the northeast side of the park several smaller "hills" will contain the gymnasium and swimming pool, with public pathways curving along the hillsides. 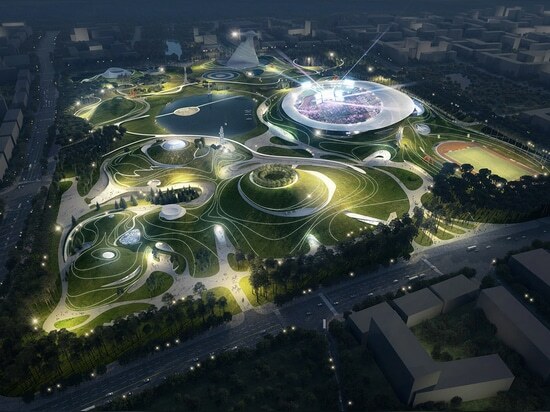 Quzhou Sports Campus is due to complete in 2021. Previously, he explained, urban architecture had sought dominance over nature. 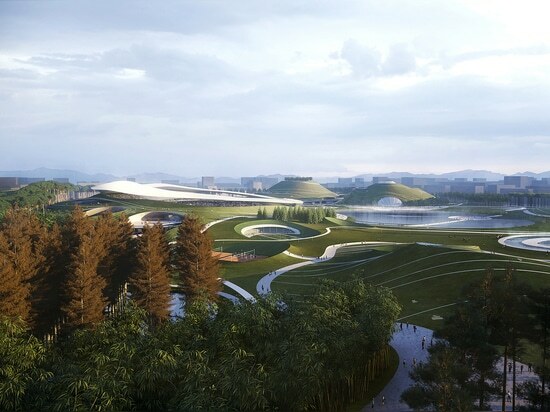 Yansong now believes Chinese architecture is entering a new period of seeking harmony with its environment.Buildings that bring to mind out-of-this-world versions of natural forms are part of MAD's signature style. 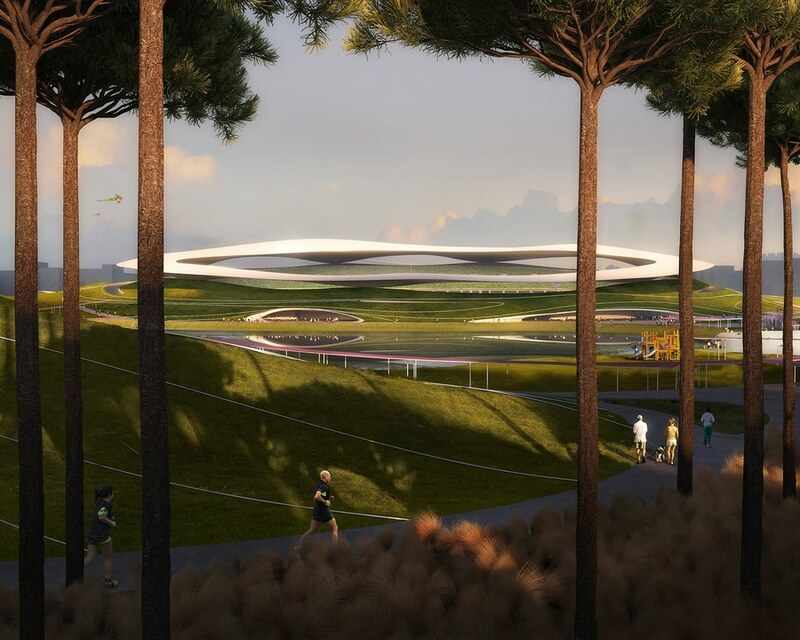 In the mountainous region of Yabuli in northeast China the architecture firm is building a domed conference centre that looks like a snowcapped peak on an icebound planet.